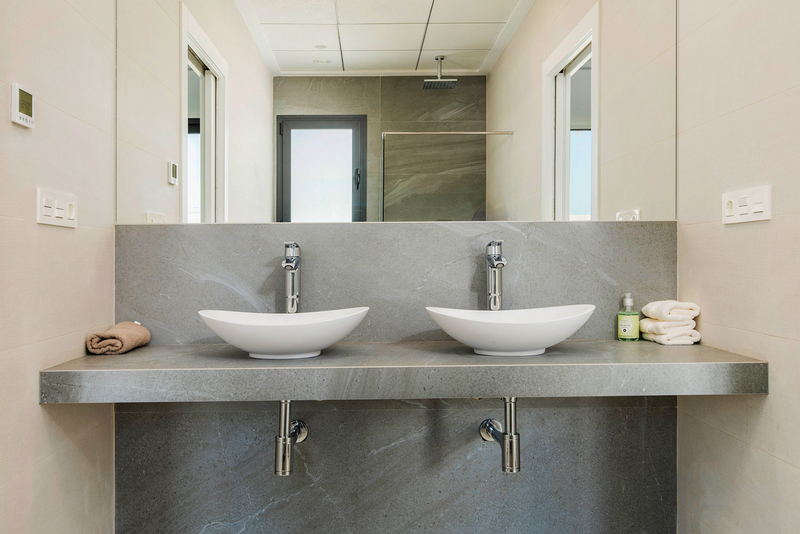 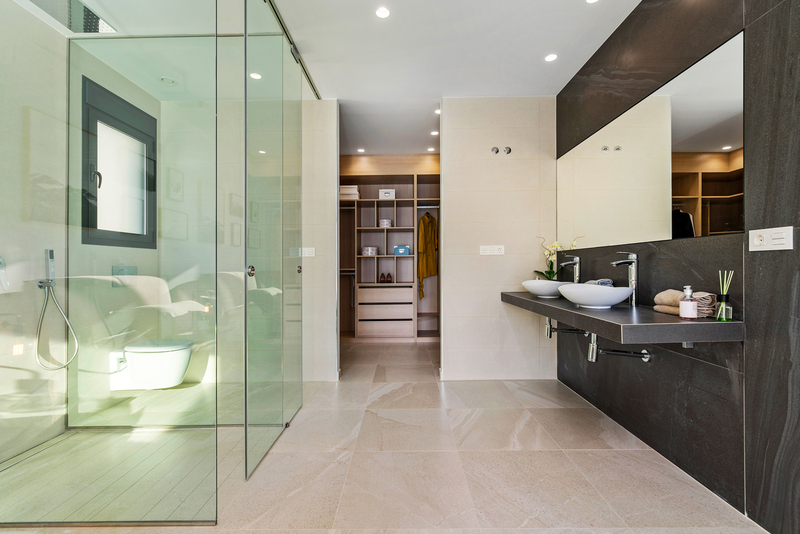 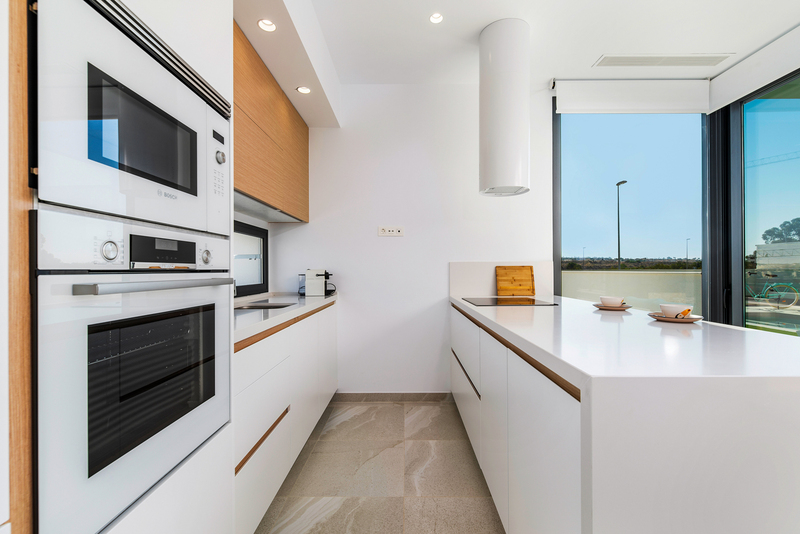 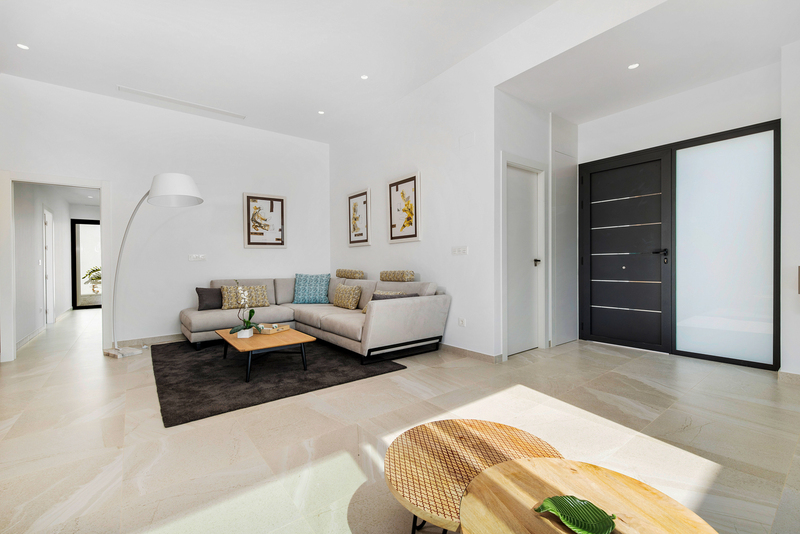 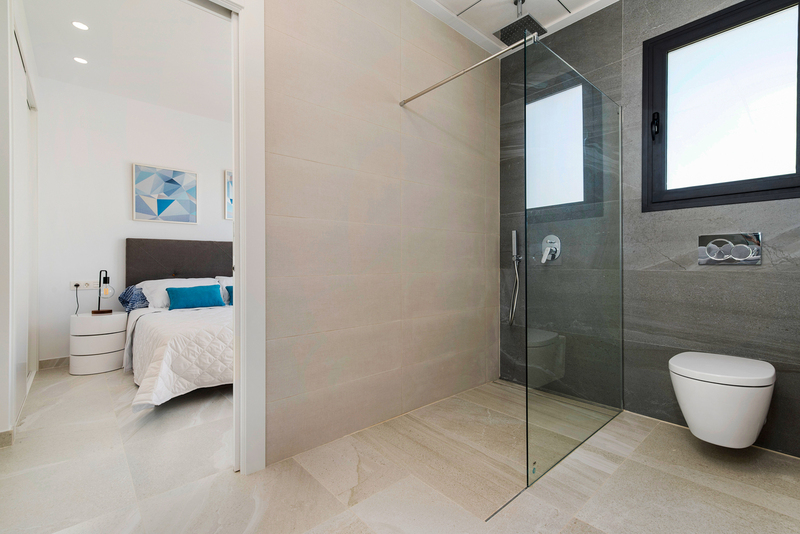 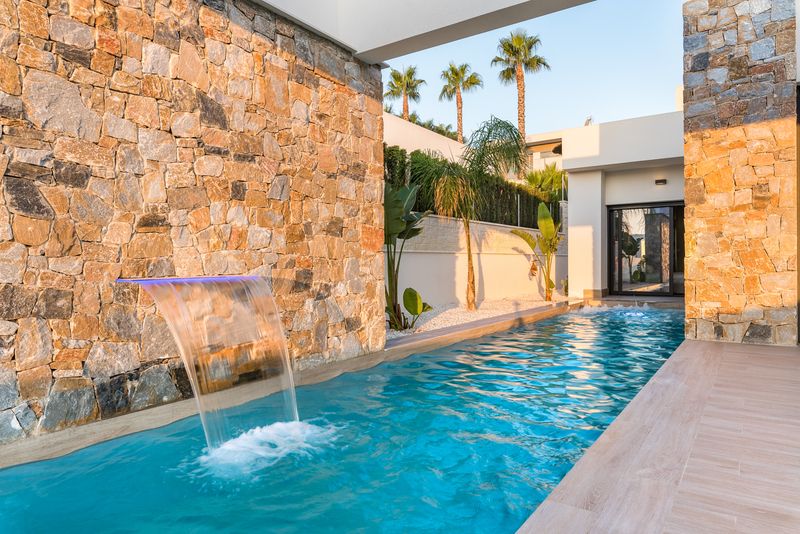 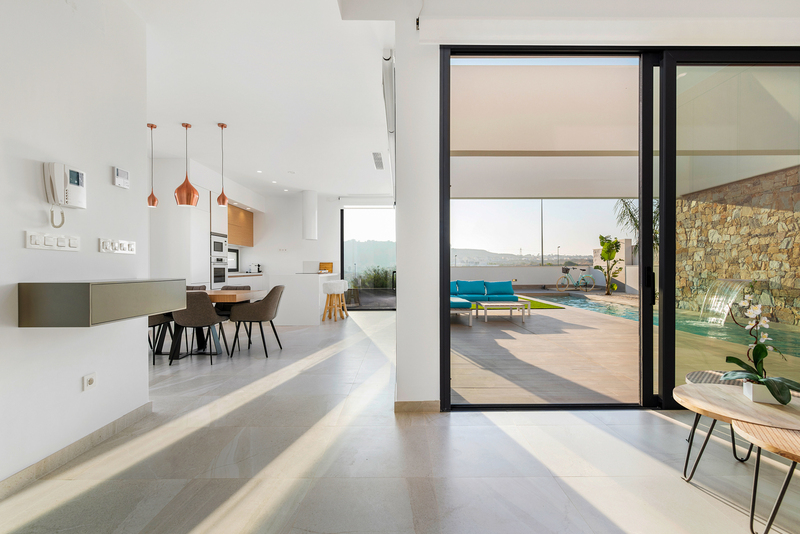 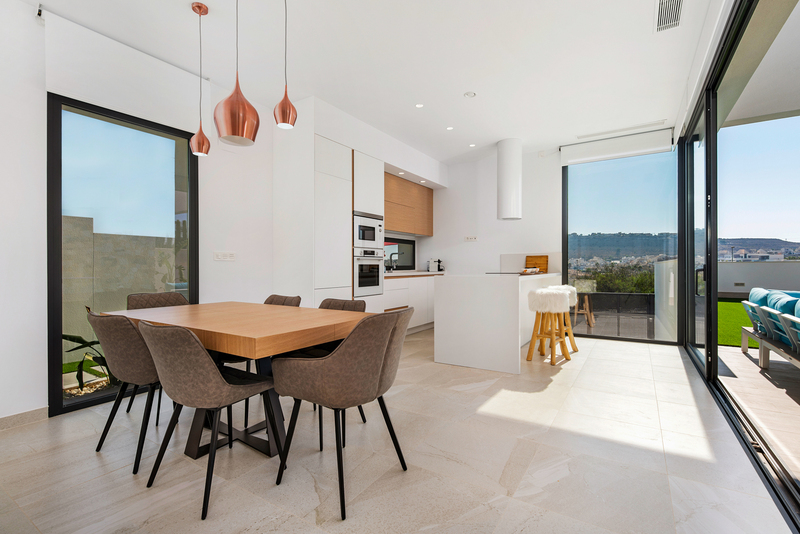 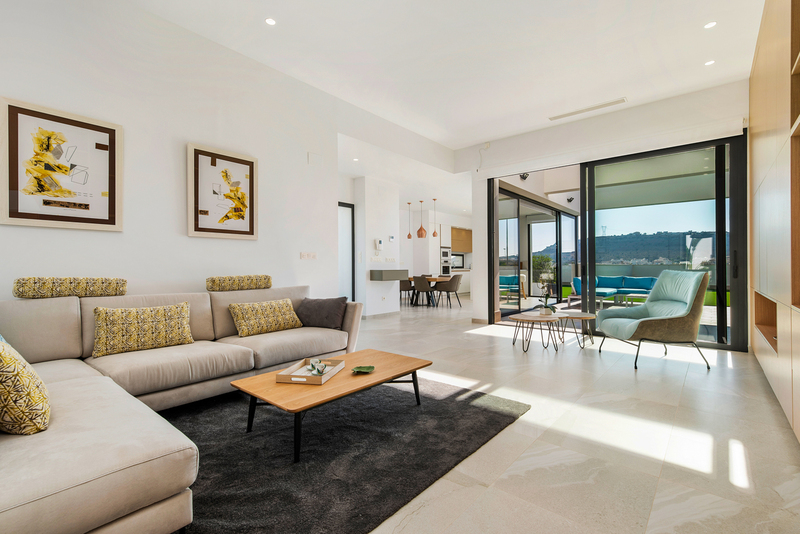 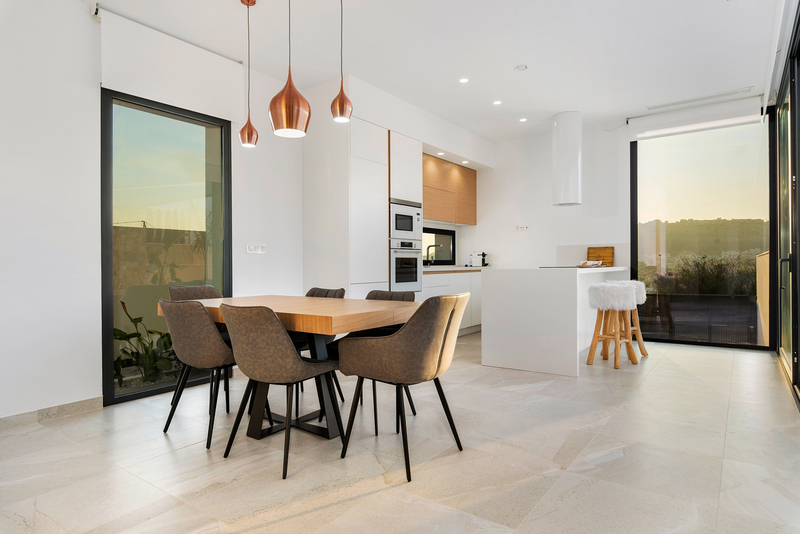 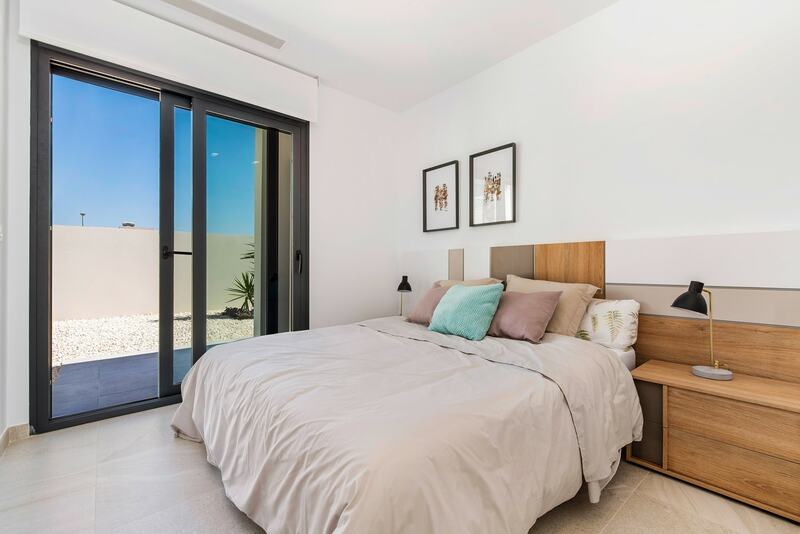 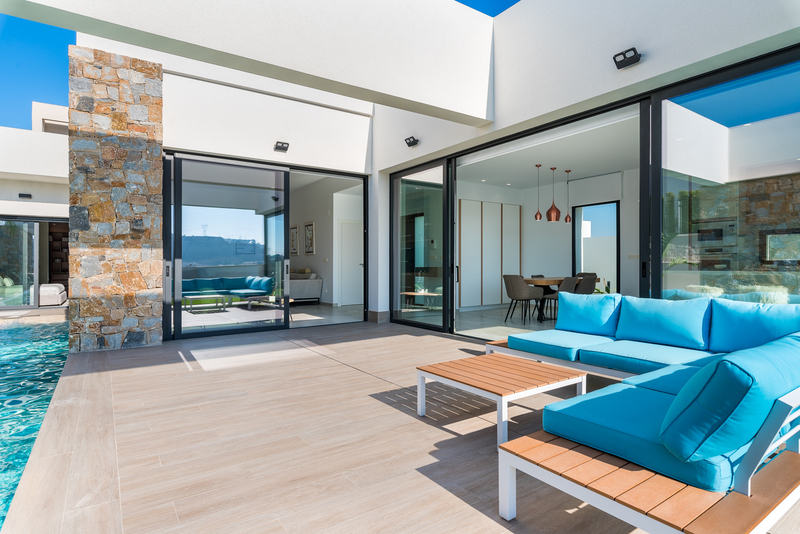 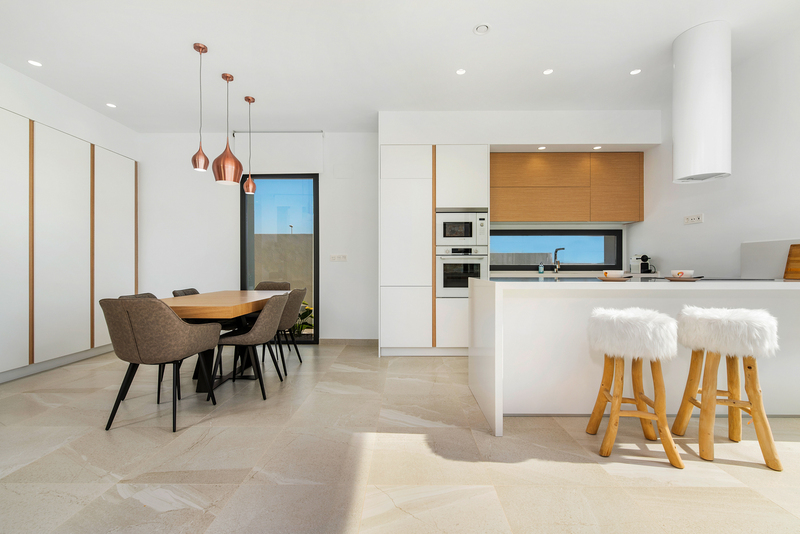 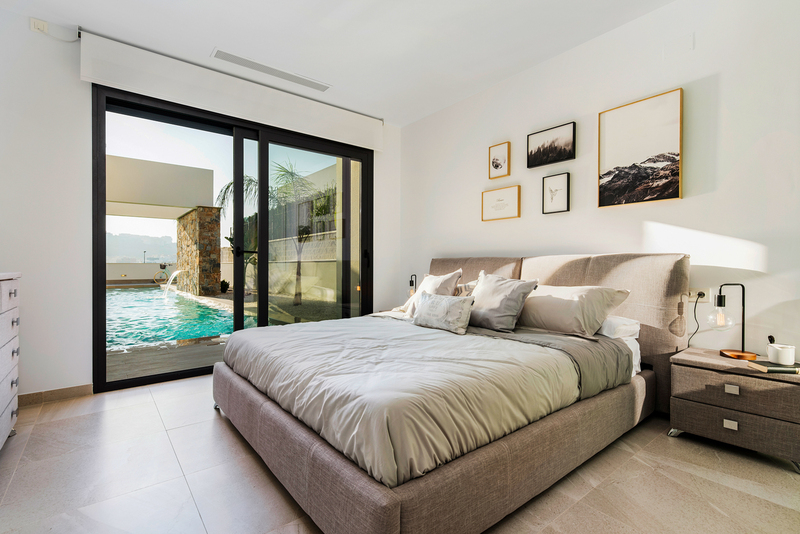 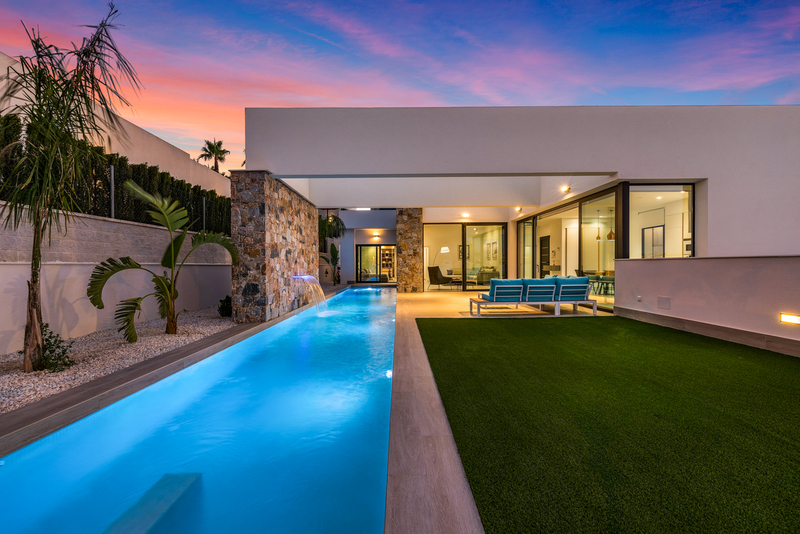 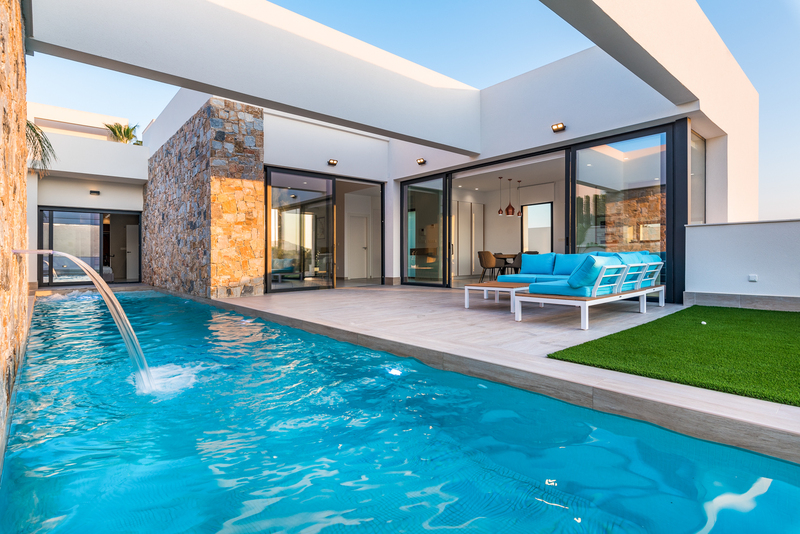 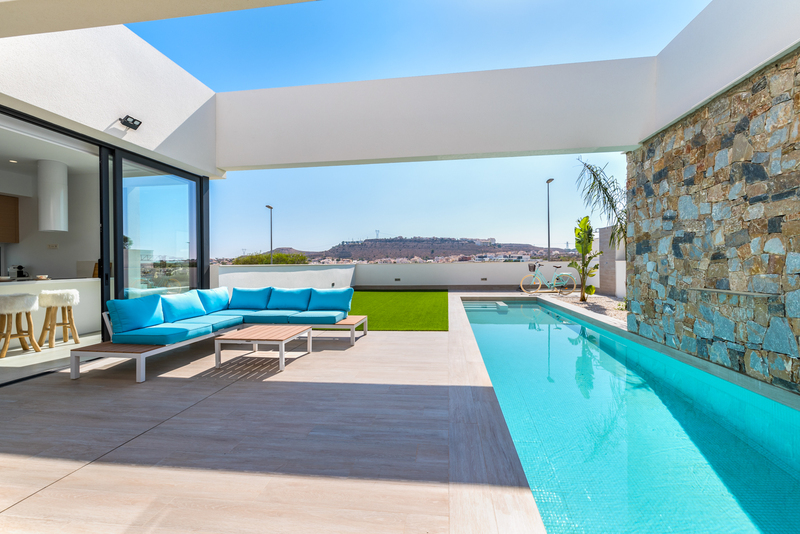 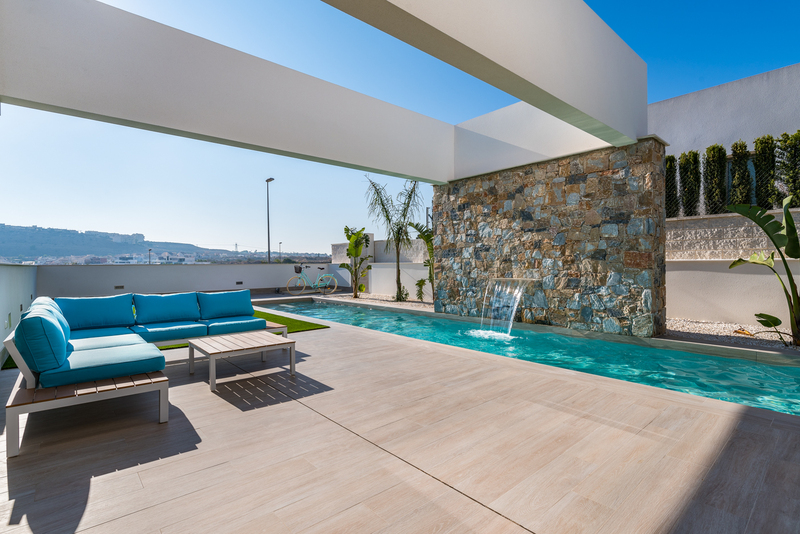 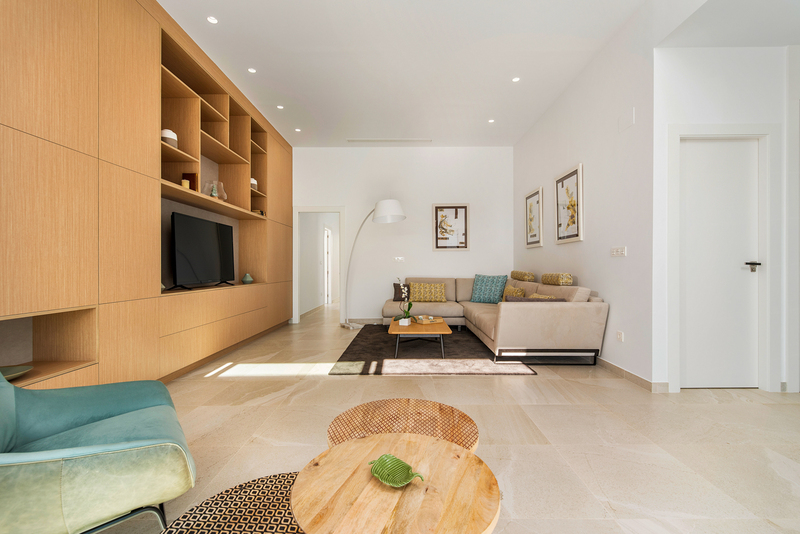 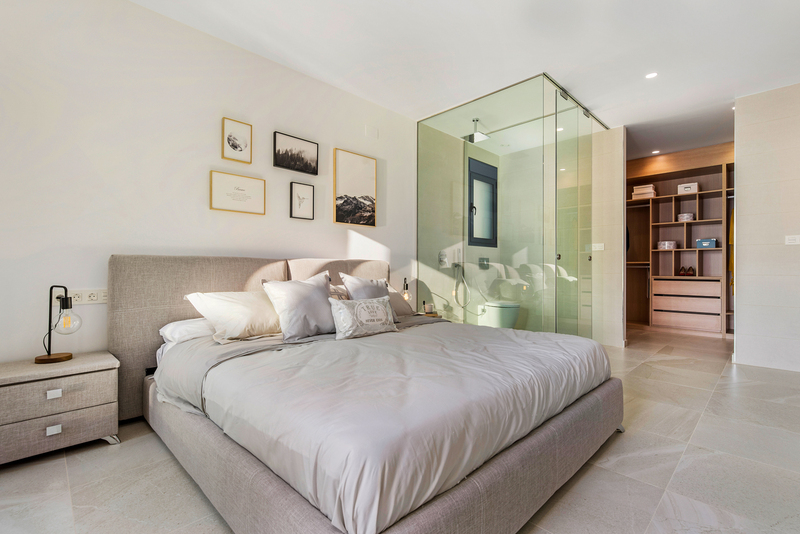 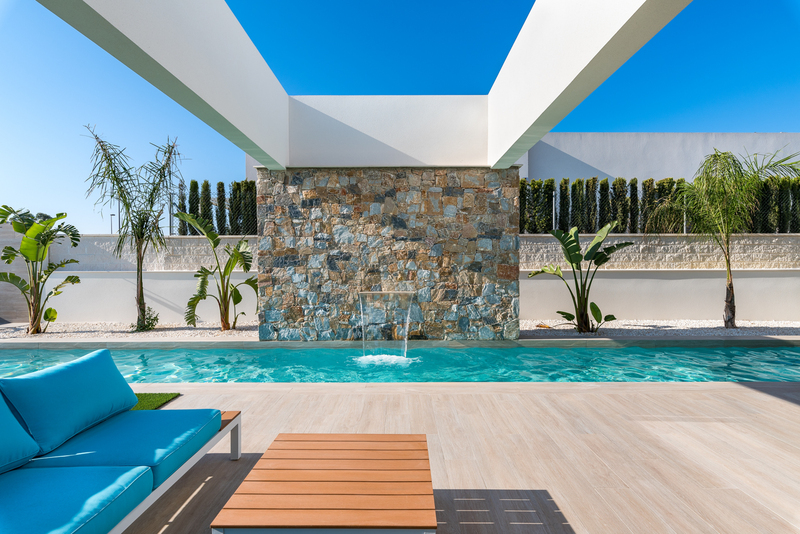 This Brand New Villa is located in the typical town of Benijófar. 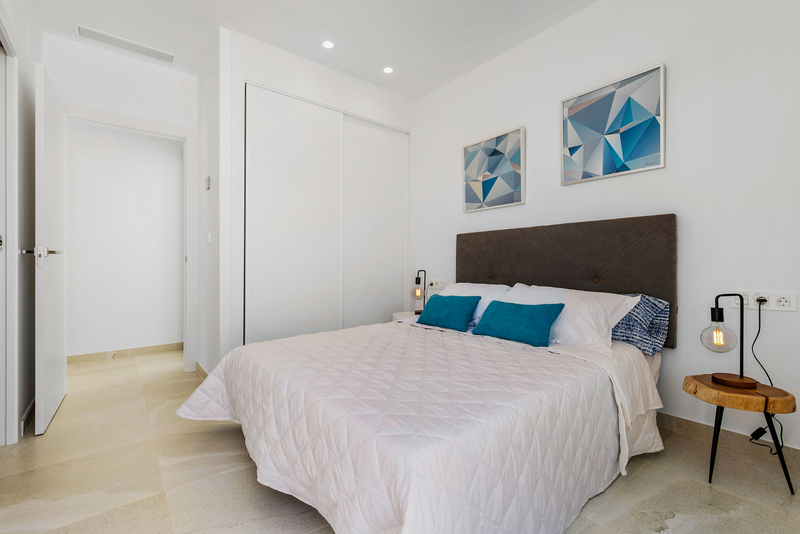 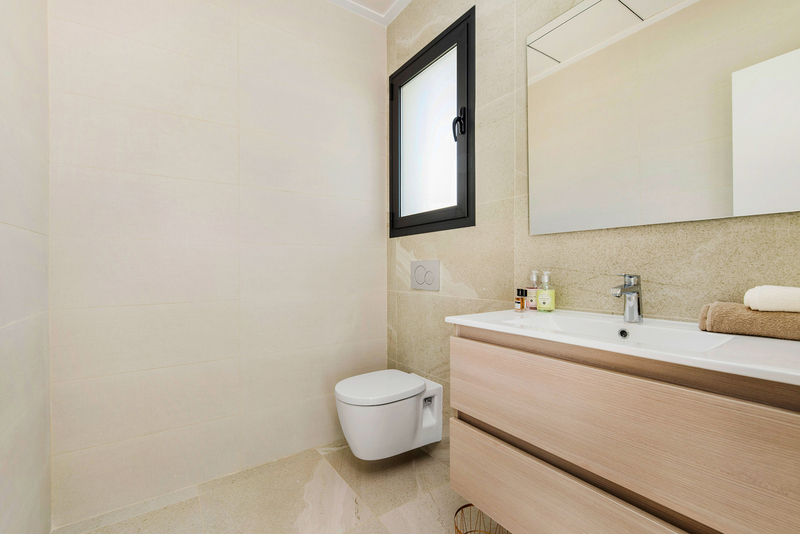 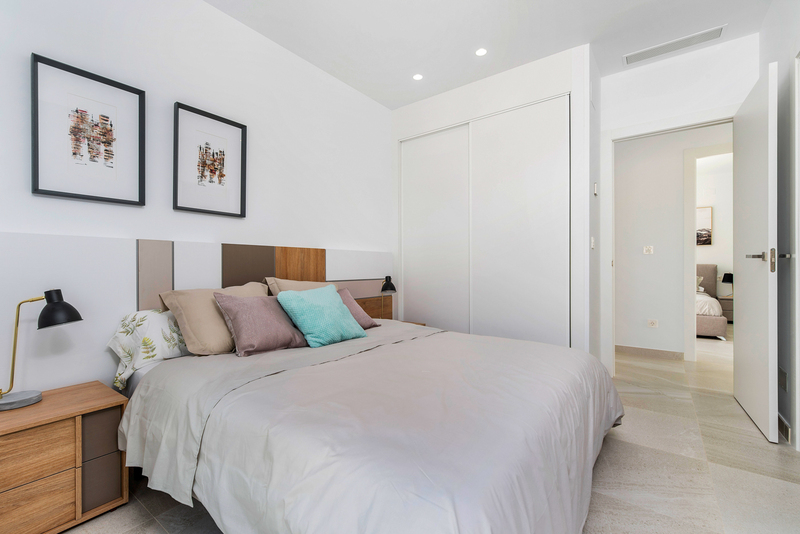 Benijófar is in the south of the Costa Blanca and there you have everything that you need for living with all the services, 20 minutes from Alicante Airport, close to the beautiful beaches of Guardamar del Segura and the Golf course LA MARQUESA in CIUDAD QUESADA, it´s less than 5 minutes. 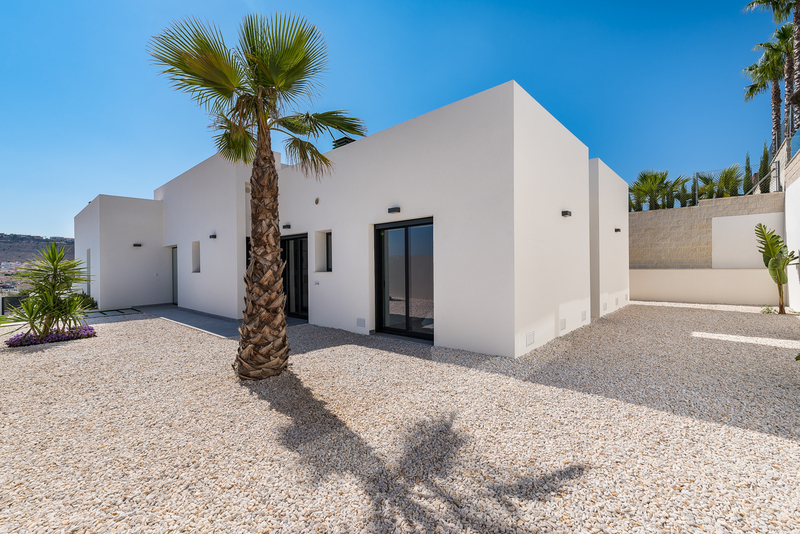 It‘s a modern style villa, building in one level and with a very special distribution, 1 large living-dining room, 3 bedrooms, one of them on-suite, open fitted kitchen and 2 bathrooms. 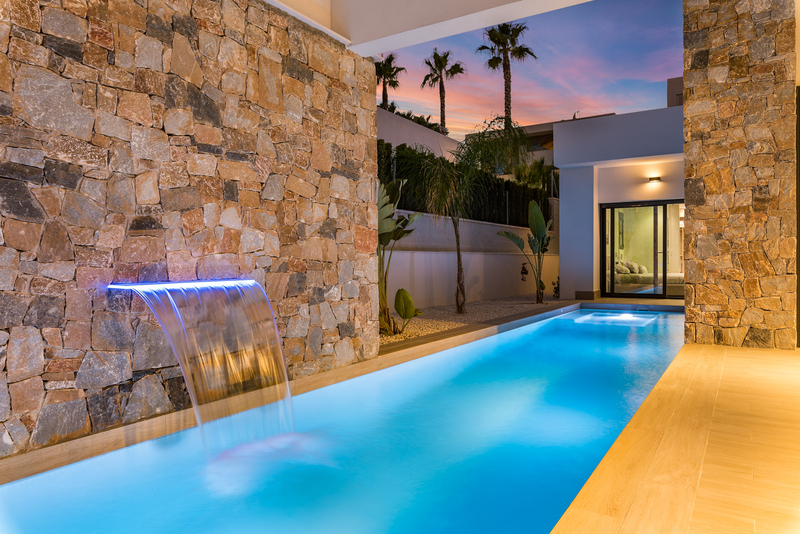 Underground parking in the private plot with terrace, special private pool, individual laundry room under the stairs, Mediterranean style garden and a solarium with great views. 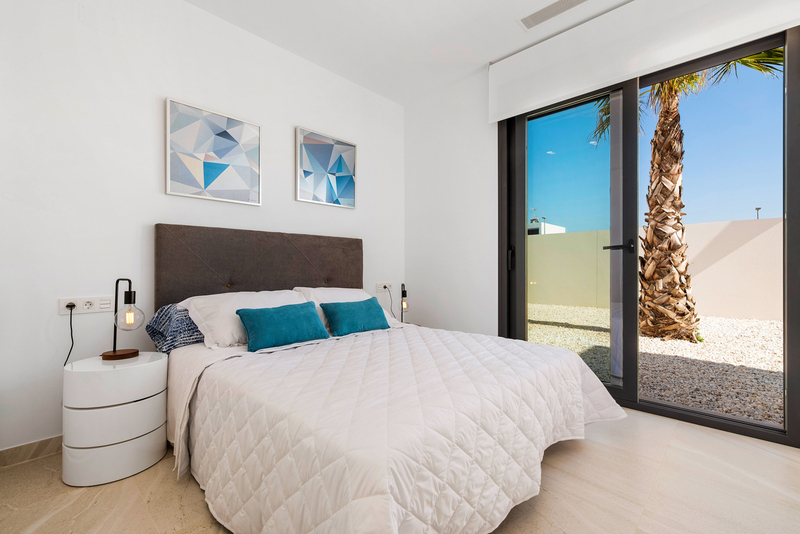 The housing also has cold air conditioning and heating, video intercom, security door and alarm.